Congratulations to our HBF Front Row Winners who will attend Mariah's #1 To Infinity shows this week in Las Vegas! Mariah returns to the European stage in 2016 with her "Sweet Sweet Fantasy Tour." HBF presales begin Tues., Dec. 15. Get full details now! By popular demand, new dates have been announced for Mariah's All I Want For Christmas Is You concert series. New shows include December 11, 12 & 18. Read on to learn how to secure preferred tickets & VIP Packages! We all love Mariah's modern classic Christmas song, "All I Want For Christmas Is You." 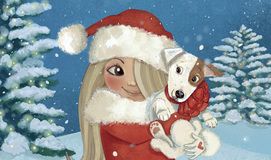 On November 10th, fans of all ages can enjoy the spirit of the song in a new picture book! Mariah is set to return to New York's Beacon Theatre this holiday season for a limited run of Christmas-themed concerts. HBF pre-sales begin Monday, 10/12! Revisiting the 11-track collection that jumpstarted one of the most successful stories in pop music history. 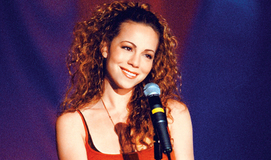 The iconic Elusive Chanteuse talked to Buzzfeed about her past, present, and infinity. One winner will receive a trip for 2 to Las Vegas, hotel stay at Caesars Palace, front row tickets to Mariah's #1 To Infinity. And did we mention a meet & greet with Mariah? 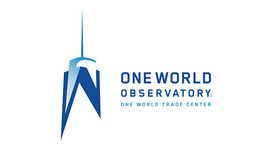 Mariah is coming back home to New York to perform at the opening of One World Observatory. 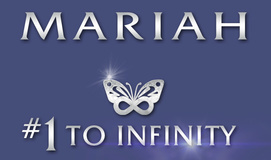 Mariah announces February 2016 shows for hit Las Vegas residency, 'MARIAH #1 TO INFINITY.' HBF pre-sales begin May 20 @ 10am PT! 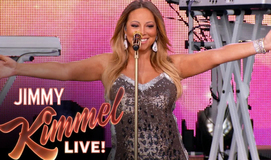 Mariah Carey took the stage at Jimmy Kimmel Live! to give an outdoor concert to the packed crowd before heading inside to give an interview on Monday (May 18) in Los Angeles. Richard Arnold sits down with her in Las Vegas to discuss an incredible career. E! 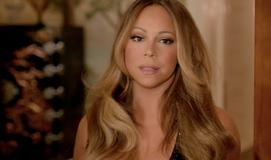 goes behind-the-scenes with Mimi as she films "Infinity." Watch now! While the audience was attempting to lip-sync Mariah's hit song "Emotions," she walked out unannounced in a gorgeous red and pink dress. 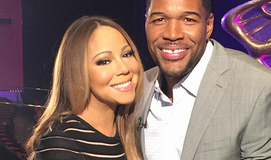 Be sure to watch Mariah on TV this week to promote her new album #1 To Infinity! 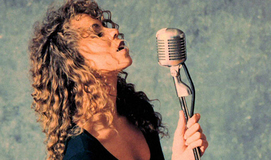 Mariah proved to be a "Vision of Love" as she unveiled her new show, MARIAH #1 TO INFINITY, to a sold-out theater and multiple standing ovations. Mariah gives “Good Morning America”'s Michael Strahan an exclusive backstage tour of her larger-than-life Vega show “Mariah #1 To Infinity"
It only took Mariah Carey placing her hand to one ear for everyone inside The Colosseum at Caesars Palace wednesday night to know what was coming next..
Mariah Carey shares her Frito Pie recipe and reveals the true meaning behind the lyrics to her new single, "Infinity."